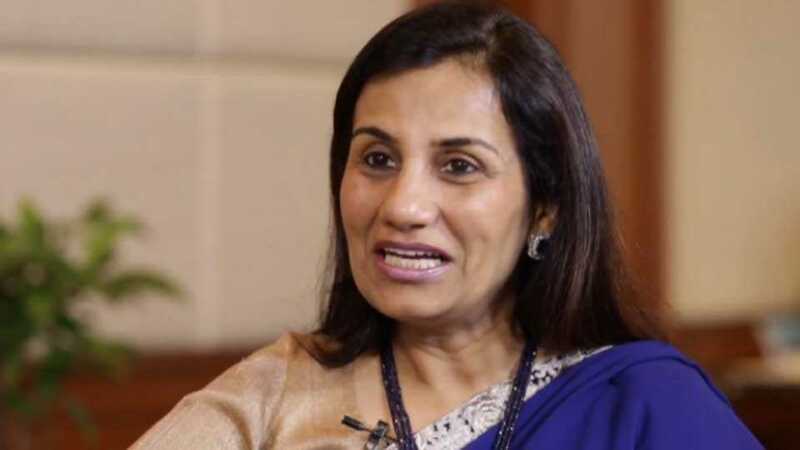 BiznextIndia : ICICI Bank, India’s top private sector bank today said that an independent enquiry has found former CEO Chanda Kochhar had violated the bank’s Code of Conduct in the Videocon fraud case. The enquiry report submitted by Justice (Retd) B N Srikrishna Wednesday concluded that there was lack of diligence with respect to annual disclosures and violation of code of conduct, on her part. Based on the report, the Board of Directors decided to treat the separation of Ms Chanda Kochhar from the Bank as a ‘Termination for Cause’ under the Bank’s internal policies, schemes and the Code of Conduct. ICICI Bank on May 29, 2018, the Audit Committee of the Bank had on June 6, 2018 appointed former Supreme Court judge, Hon’ble Mr. Justice (Retd.) B. N. Srikrishna as the Head of Enquiry (HOE) to undertake a comprehensive enquiry on allegations against Ms. Chanda Kochhar. The Bank has received the Enquiry Report from HOE, and the Board of Directors considered the same at the Board Meeting held on January 30, 2019. The Enquiry Report, with the scope period of April 1, 2009 to March 31, 2018 (unless specific information required enquiry into transactions or facts of an earlier period), concluded, primarily on account of ineffectively dealing with conflict of interest and due disclosure or recusal requirements, that Ms Chanda Kochhar was in violation of the ICICI Bank Code of Conduct, its framework for dealing with conflict of interest and fiduciary duties, and in terms of applicable Indian laws, rules and regulations.